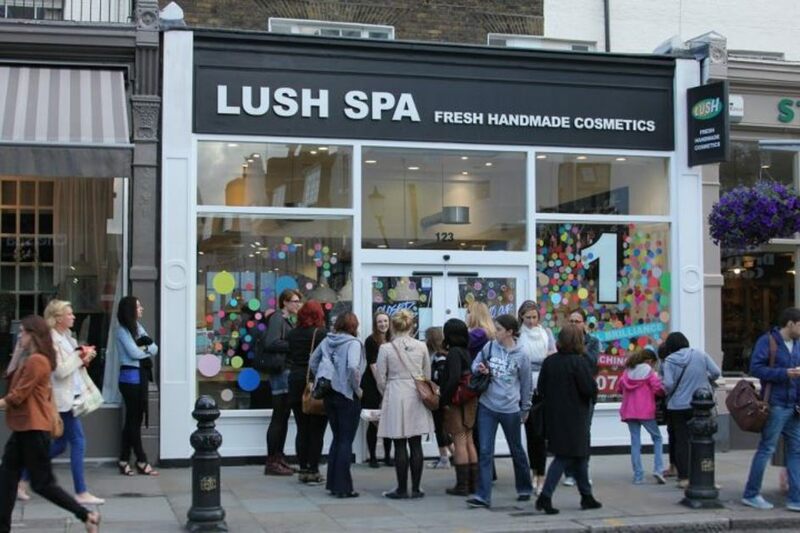 Last week my incredible boyfriend suprised me with a trip to the LUSH Spa on Kings Road in Chelsea. (A borough of London, most famously known from the British TV Show “Made in Chelsea”) I was literally speechless. Of all the things I thought he was going to take me to do (iceskating in the middle of October?! Yeah right!) this was the last thing I expected. Greeted by that familiar, perfumed smell and cheery store associates as we walked into the shop, I bid farewell to my darling boyfriend and felt like a modern-day Alice as I ‘fell down the rabbit hole’. 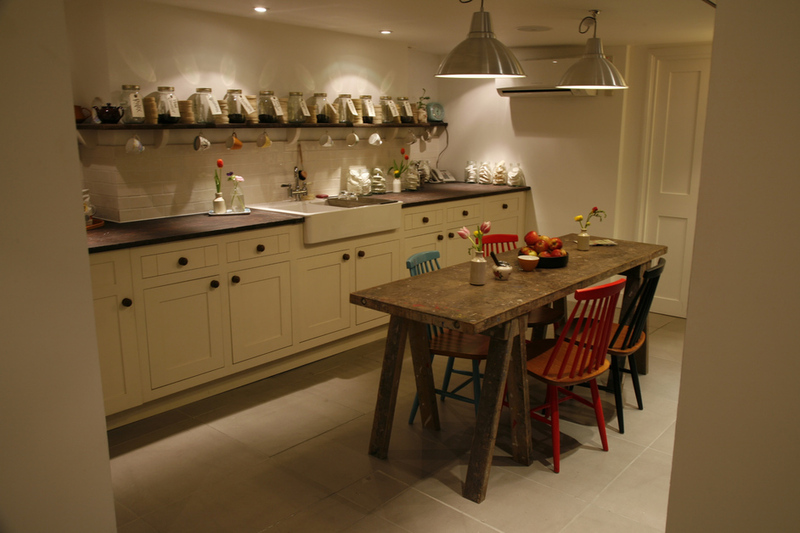 Once downstairs into the Spa, I was pleased to make acquaintance with my Spa Therapist and get cozy in what reminded me of a quaint country kitchen. Filled with excitement, I listened with eager ears as she began to describe my treatment, The Comforter; a heavenly smelling chocolate scrub followed by a body serum massage, all while I lay ontop a warm, memory foam mattress. Once I was comfortably tucked away, my therapist began my treatment and I began to fall under a chocolaty spell. I won’t go into too much detail as I want to keep the magical journey you experience with The Comforter unspoiled and left up to you to experience, but combined with the soundtrack, rose-scented bubbles, and my own personal galaxy, I was not disappointed. Afterwards, I was left to change and meet my therapist back into the ‘kitchen’. Sitting back down in the wooden chair I was given my own pink ‘cocktail’ to wake me up. Filled with cotton candy and a pink, rosy concoction, I re-fueled my body and gently re-awoke my senses. I signed the guest-book, chatted with the therapist about my boyfriend and I’s long-distance relationship, and took full advantage of the counter full of Lush products to get myself ready to take on a busy day in London. Once I was ready, I waved goodbye to the Spa and set back to the bustling streets of Chelsea. If you’re ever in London, or live anywhere near a Lush Spa, I encourage you to take the opportunity and experience The Comforter. 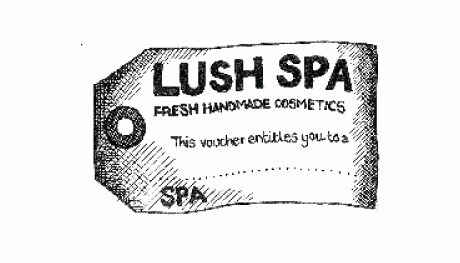 Not only did my boyfriend do good in his surprise, but he set me up for a guaranteed life-long obsession with Lush and their Spa.